Thanks to our many sponsors. Without their continued support the Balloon Festival at the Warren County Farmers' Fair would not be possible. As you may, please patronize them throughout the year. AmeriGas is the nation's largest propane company. Serving over 1.5 million residential, commercial, industrial, agricultural and motor fuel propane customers in nearly 50 states. 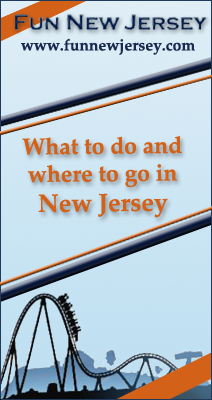 For more things to see and do in New Jersey visit www.visitnj.org. Your best source for local news, sports arts and entertainment. Quality journalism you can trust. Nazareth Ford For Nazareth Ford, “Customer Service” means making your car buying experience as easy and enjoyable as possible. You will find all the information you need to. Check us out online were you may Build your car. Name your price for any New Ford with our online car configuration. Search through our extensive selection of New and Pre-Owned vehicles. Send us a Quick Quote Used Car request – we’ll find the vehicle you want, at the price you’re looking for. Johnson Dodge Chrysler Jeep Ram â€“ Find out why people drive away excited. It's not just their new car but a new kind of car buying. Fun, friendly staff. Selection, quality and value. Johnson Dodge Chrysler Jeep Ram has your next new or pre-owned vehicle. 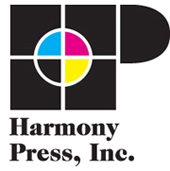 Harmony Press Inc. Over 50 years experience in printing ensures your printed product will get the results you desire. You donâ€™t need to know every detail about printing because we already do. Feel comfortable knowing highly trained professionals will handle your work. 8 Colors Plus Coating in One Pass or perfecting up to 4 colors on each side will provide more design choices for your creative team. Assorted coatings of gloss, dull, satin or soft touch will further enhance your products. Variable Data Printing allows you to interchange text for images in your brochure or flyer. This gives you the ability to address your recipient by name or insert an image that appeals to their particular interests. The Heidelberg CD 874 press allows you to print on board stocks up to a thickness of 32 point. All your printing needs can be produced right here, from 40# offset to heavy board stock. Come visit Rossi Chevrolet Buick GMC to get exceptional sales, service, parts and financing close to home in Washington, NJ. We offer no-hassle pricing! RE/MAX of New Jersey was founded in 1985 and continues to be one of the leading real estate organizations in New Jersey. RE/MAX of New Jersey, based in Morrestown, NJ is a privately owned and operated regional franchisor for RE/MAX LLC. ShopRite Neighbors who care for neighbors. It's what keeps our community healthy and vibrant. ShopRite takes great pride in helping to nourish the people who share our experiences in Warren County and all the other communities we serve. Ecotourism and Creative Writing Now at WCCC! Warren County Community College is proud to offer two new degree programs: the Associate in Science in Ecotourism and the Associate in Fine Arts in Creative Writing. Both degree programs will provide WCCC students with exciting career and transfer options. WCCC is nestled in beautiful Warren County, considered by many New Jersey’s recreational paradise. Visit www.warren.edu or call 908-835-2300 for further information. Unity Bank is a community-oriented commercial bank offering a variety of accounts, as well as a complete suite of business products and on-line services to its New Jersey and Pennsylvania communitities. Unity continues to grow because we help our customers grow â€“ through the strength of our branches and our community involvement. Our local, community-bank setting allows personal relationships to be developed and fostered. Overall with 204,600 weekly listeners, B104's personalities include Mike and Steph in the morning, Ryan Seacrest during your workday, Kyle Anthony for your drive home, and Nik at night. Our core artists include Maroon 5, Justin Timberlake, Sam Smith, Taylor Swift, Ed Sheeran. B104 is the leading station for hit music in the Lehigh Valley! ExploreWarren.org Find things to see and do around Warren County. St. Luke’s St. Luke’s University Health Network (SLUHN): is a fully integrated, regional, non-profit network of 14,000 employees providing services at 10 hospitals and over 300 outpatient sites. St. Luke’s Warren Campus has invested $90-million in patient friendly upgrades at its main campus and satellite locations throughout the area. Our goal is twofold: to provide our patients with excellent medical care in comfortable and safe surroundings and to provide easy access to our services closer to where our patients live and work. • Compassionate Care delivered by a highly trained staff of physicians, nurses and other health care professionals. • Comfortable, well-appointed accommodations and fresh, nutritious food, prepared at your request. • Specialty Centers, including hyperbaric oxygen, complete vascular center, catheterization lab, ambulatory surgery, and radiology including silent MRI and 3-D mammography. More great things are just around the corner, including an all new Women’s practice, a Health Center featuring CareNow, Physical Therapy, a family practice and more in Belvidere, as well as a CareNow and Xray lab at Schoolhouse Village. JCP&L’s 1,500 employees are dedicated to delivering safe, reliable and affordable service. They also are engaged in supporting the communities the company serves. In the past decade, JCP&L employees have donated approximately $494,000 to United Way; contributed nearly 173,000 pounds of food and raised approximately $164,000 for Harvest for Hunger; and given of their time and talent volunteering at a wide range of charitable organizations. JHM Communications  One of the premiere digital sign and graphics companies in the area. For more information call (908) 859-6668. The Farm In Harmony Located minutes from the Fairgrounds and opening in summer 2017. Fresh produce, cut flowers, dried flowers and a 6 acre corn maze honoring our Veterans. Visit them online at thefarminharmony.com to view the design for the 2018 corn maze - the Purple Heart. Bourbon Street Wine & Spirits - The area's largest selection of wine, spirits and beer. Visit one of 8 locations in Califon, Flemington, Stewartsville, Pohatcong, Clinton, Lebanon and Phillipsburg. C.R. Shotwell Landscape has been in business since 1988. The company has built a reputation for taking pride in their work. C.R. Shotwell also makes sure to take the time to review all aspects of your landscaping project, big or small. The Company's consistent quality, craftsmanship and professionalism has made C.R. Shotwell one of the premier Landscape Management companies to call. 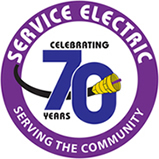 Our service areas include Warren County, Hunterdon County, Sussex County and Eastern Pennsylvania. Knox Designs is a small design business based out of Stroudsburg, Pennsylvania. I have a passion for creating beautiful things and making people happy. From design work on branding and websites to photography and video, I engage, inform, and entice your audience through meaningful message delivery in new and interesting ways. I'm also a certified drone pilot, which means I can legally be hired to fly for you If you want something shot for your business or just want something personal, get in touch with me today! Please visit knoxdesigns.co. Covanta Energy Covanta's Energy-from-Waste (EfW or waste-to-energy) facilities offer a safe, sustainable and technologically advanced means of disposal for post-recycled municipal solid waste that also generates clean, renewable energy, reduces greenhouse gas emissions and supports recycling in communities.